On November 28, 1942, a fire destroyed the Cocoanut Grove night club. More than 490 people were killed. The fire’s cause was never definitely determined, but the club’s flammable decorations certainly contributed to its ferocity. Revolving doors that soon became jammed and emergency exits that were illegally blocked and locked additionally contributed to the large loss of life. The plaque commemorates the dead and notes that, as a result of the tragedy, there were major changes in fire codes and in the treatment of burn victims not only in Boston, but across the country. 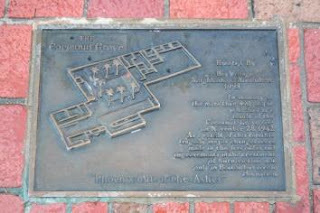 The plaque, with a bas-relief image of the Cocoanut Grove’s floor plan, was set in the sidewalk near 17 Piedmont Street—the night club’s site—by the Bay Village Association in 1993. "Boston Bronze and Stone Speak To Us" intends to add this Boston Monument to our next edition of our book. Thanks so much Joe. I think I am probably going to order directly from you and have you ship them out. Will be in Boston a number of times in the coming weeks but mainly in the Longwood and Copley areas – not sure if I will have the time to go over to the North End – at least not until December 21st! Will order directly from your website. This is an absolutely wonderful book – I have always hoped that someone would put together a definitive book on the beautiful sculptures around Boston. 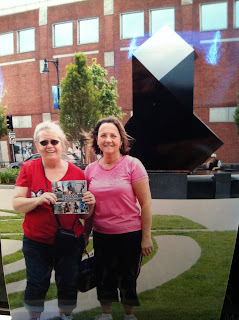 Have spent a good deal of my life in and out of the city and as a child I used to walk with my parents and grandmother/aunt around the city admiring the sculptures – so very few of which we actually knew the story of .. so very happy that you took the time, and had the interest, to produce this wonderful book! Thank you! Above Joe and Mentor sculptor Nancy Schon , creator of Boston Public Garden's "Make Way For Ducklings"
The birthday of Robert Kraus's monument commemerating the March 5, 1770 shootings of British subjects in Boston. Freedom is symbolically victorious, cast in this bronze sculpture by Kraus. This very dramatic Freedom, depicted with the flag, a broken chain, an American eagle, and a trod-upon British crown, are positioned before a column with the names of the five Bostonians killed by British soldiers in the 1770 encounter. The high relief bronze plaque depicting the massacre features an extended hand which visitors love to shake, keeping it polished. Crispus Attucks, famed as the first black to give his life for this nation, lies in the foreground. His shoe also protrudes from the relief and visitors keep that polished as well. Heroically, represented in bronze and stone the Boston Puerto Rican community honors Roberto with this monument and baseball field. “Roberto Clemente: His three loves; Puerto Rico, baseball, and children”. This monument was dedicated in 1973 to the late baseball player and humanitarian Roberto Clemente. It is a 5-foot-tall (1.5 m.) stone marker inset with a large bronze relief of Clemente and a short inscription in Spanish & English. The adjacent baseball diamond, which is part of the athletic field, is also dedicated in his honor. Clemente played his entire 18-year baseball career with the Pirates (1955-72). He was awarded the National League’s Most Valuable Player Award in 1966. During his career, Clemente was selected to participate in the league’s All Star Game on twelve occasions. He won twelve Gold Glove Awards and led the league in batting average in four different seasons. He was involved in charity work in Puerto Rico and other Latin American countries, often delivering baseball equipment and food to them. He died in an aviation accident on December 31, 1972, while en route to deliver aid to earthquake victims in Nicaragua. His body was never recovered. He was elected to the Hall of Fame posthumously in 1973, thus becoming the first Latin American to be selected and the only current Hall of Famer for whom the mandatory five year waiting period has been waived since the wait was instituted in 1954. Clemente is also the first Hispanic player to win a World Series as a starter (1960), win a league MVP award (1966) and win a World Series MVP award (1971). "Boston Bronze and Stone Speak To Us"celebrates another Boston Monument. Leif Erikson Boston Monuments ; a question answered. Leif Erikson has been accredited with being the first European discoverer of America 500 years before Christopher Columbus. 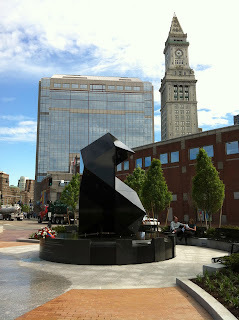 Both Boston Monuments can be found in "Boston Bronze and Stone Speak To Us". The precise identity of Vinland remains uncertain, with various locations on the North American coast identified. In 1963, archaeologists found ruins of a Viking-type settlement at L'Anse aux Meadows, in northern Newfoundland, which correspond to Leif's description of Vinland. Question: What do roving bands of intrepid Vikings and a legendary lost city of gold have in common with something as prosaic as baking powder? Answer: Prof. Eben Norton Horsford. Horsford was an early food chemist who in 1847 was appointed to fill Harvard's Rumford Chair of the Application of Science to the Useful Arts. In 1854 he co-founded Rumford Chemical Works, which he named after his position. A few years later he struck it rich by inventing a new formulation of baking powder. Previously, baking powder had contained baking soda and cream of tartar. Horsford replaced the cream of tartar with the more reliable calcium biphosphate (also known as calcium acid phosphate and many other names). Most brands of baking powder still use calcium biphosphate, but also contain the more recent addition of sodium aluminum sulfate. The leading brand of aluminum-free baking powder is the direct descendant of the one the good professor sold, but it is now called "Rumford Baking Powder" instead of "Professor Horsford's Phosphatic Baking Powder." Later in life, and with too much time and too much money (and perhaps a few too many fermentation experiments), Horsford turned amateur archeologist and convinced himself that in A.D. 1000, Leif Erikson sailed up the Charles and built his house in what is now Cambridge, Massachusetts. Horsford did a little digging (literally) and found some buried artifacts that he claimed were Norse. On the spot he built the memorial you saw. He didn't stop there. A few miles upstream, at the mouth of Stony Brook (which separates the towns of Waltham and Weston), he had a tower built marking the supposed location of a Viking fort and city. 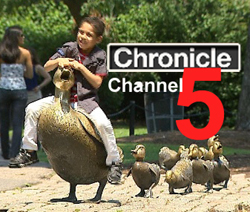 As if that weren't enough, he also commissioned a statue of Leif that still stands on Commonwealth Avenue in Boston. The professor wrote a seemingly endless series of books, articles, and pamphlets about the Vikings' visits to Massachusetts. After his death, his daughter Cornelia took up the cause. Their work received little support from mainstream historians and archeologists at the time, and even less today. 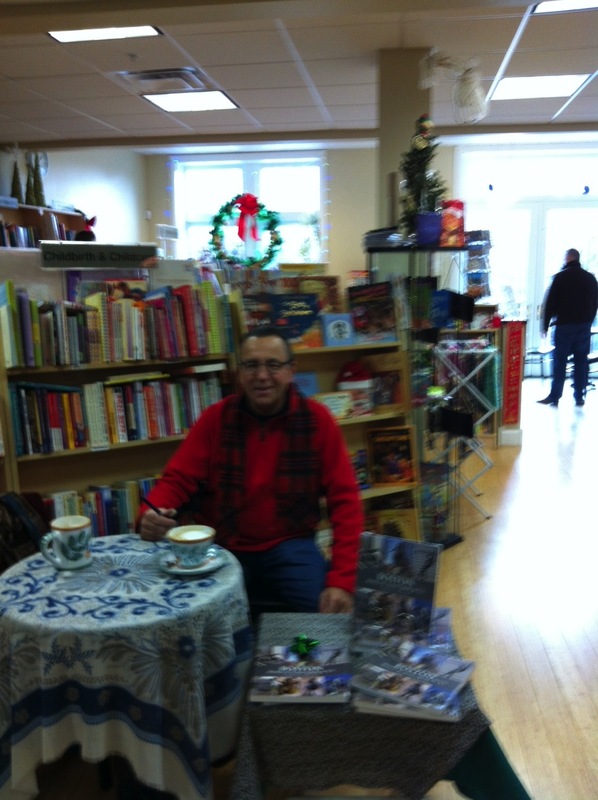 Horsford embellished the story further by combining the Viking explorations with the legendary city of Norumbega. The story is largely forgotten now, but Norumbega once figured with Ophir, El Dorado, and the seven cities of Cíbola in the ranks of legendary golden cities. In 1529, Girolamo Verrazano produced a map based on reports by his brother, the explorer Giovanni Verrazano. This map is the first known use of the term Oranbega, which later became Norumbega. 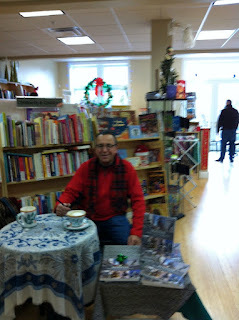 However, Giovanni's reports are patently unreliable since he called southern Maine "the land of bad people." (We're not bad, we're just misunderstood.) Several decades later, an English explorer named David Ingram elaborated (i.e., lied) and described the fabulously rich city of Norumbega that he claimed to have visited himself. This city of silver, gold, and pearls was generally believed to be in Maine (specifically on the Penobscot River), but explorers sought the place in vain. Horsford argued that Norumbega lay at the confluence of Stony Brook and the Charles (at the site of the modern tower mentioned above), and that in the days of the explorers it was occupied by the descendants of the Vikings. He believed the name was a corruption of an old name for Norway, Norbega. I can find no independent confirmation that Norway was ever called "Norbega," which isn't too far off from Norway's real names in Old Norse, Norvegr and Nóregr. But you'd have equally good reason to suggest the professor was named after a shallow place in the river where prostitutes cross. As bad an etymologist as he was an archeologist, Horsford argued mass, maze, mace, and maize were all from a common root, when in fact they are unrelated. He thought "America" was named after Erik the Red, despite the fact that Erik never set foot on the continent. He believed the Vikings would name the new land after Norway, when most of them were from Iceland and Greenland. At any rate, the accepted origin of Oranbega/Norumbega is an Algonquian Indian name meaning "quiet place between the rapids." Horsford was not the only one to speculate on the precise location of the Vikings' settlements, of course. A wave of Viking madness swept over North America (and especially New England) in the 1830s following the publication of the History of the Northmen by American diplomat Henry Wheaton andAntiquitates Americanae by the Danish historian Carl Christian Rafn, both of which speculated about where the Vikings landed. Soon, every bay and cove from Nova Scotia to Chesapeake Bay was nominated as a landing site, and supposed Viking artifacts were discovered under every bush and tree. So where did they really land? Before 1960, most of what we knew about the Norse voyages to North America came from two Icelandic sagas. There are passing mentions of Vinland the Good in several other sagas and in at least one Latin document, but only two sagas give any real details: "The Saga of the Greenlanders" and "Erik the Red's Saga." The two are contradictory on many important details. For example, one describes six voyages, which the other compresses to three. One credits the discovery of Vinland to Bjarni Herjolfsson, the other to Leif Erikson. They tell more or less the same story, but neither can be relied on since they weren't written down until hundreds of years after the fact and describe supernatural events. The descriptions the sagas give of the places visited are tantalizing--detailed enough to make people think they can use them to pinpoint the locations, but vague and inconsistent enough that they could refer to any of dozens of different places. Reading the sagas, one is tempted to say "I know a place just down the coast that sounds like that." The first Viking site Horsford identified was just blocks from his house. Dozens, probably hundreds of other places from northern Labrador to southern Virginia have been put forward as possible Viking sites, even though only few locations are described in the sagas. There are concentrations of proposed sites in eastern Massachusetts and around New York, which probably indicates nothing more than high concentrations of amateur historians. In 1960 the husband-and-wife team of Helge Ingstad and Anne Stine discovered the remains of a Norse settlement at L'Anse Aux Meadows, near the northernmost point of Newfoundland. That put an end to the speculation, right? Wrong. The L'Anse Aux Meadows site, if it is mentioned at all in the sagas, is probably a place referred to as Leifsbúðir ("Leif's booths" or "Leif's temporary shelters," which Horsford placed in Cambridge). But Vinland was supposedly named for the grape (vín) vines that grew there. Grapes do not grow in Newfoundland, nor did they a thousand years ago. It has been argued that the first element of Vinland might be from a Norse root meaning "pasture." But this word vin was already obsolete by the time Vinland was named, and it requires a short i whereas Vinland (Vínland) is spelled with a long í in Norse. Another suggestion is that they might have confused grapes with some sort of berry. Either explanation is superficially plausible at best. I hope no one accuses me of chauvinism, but a pair of nuts really does make all the difference. In the mid-1970s two butternuts were unearthed at the L'Anse Aux Meadows site. Butternuts (also called white walnuts) don't grow in Newfoundland. It so happens that the northern limit of butternuts coincides closely with the northern limit of wild grapes. If the Norse settlers found butternuts, there is an excellent possibility that they found grapes as well. It now seems likely that L'Anse Aux Meadows is not Vinland per se, but either the northernmost part of Vinland or a stopping-off point en route. Does that mean the Vikings might really have sailed up the Charles as Horsford believed? It's possible but not likely. Both butternuts and grapes can be found along the east coast of New Brunswick, and there's no good evidence the Vikings went farther south than that. There are two settlements that were probably south of Leifsbúðir that are mentioned in the sagas: Straumsey ("stream island" or "current island") and Hóp ("tidal lake"). We don't really know where they are. Horsford thought Straumsey was Monomoy Island (between Cape Cod and Nantucket). 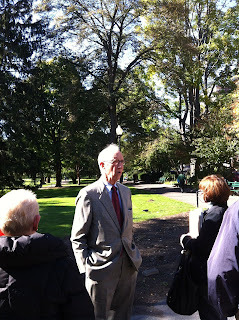 He thought Hóp was--get this--Boston's Back Bay (before it was filled in). Who knew the Vikings were Yuppies? Why did they go home again? Internal disputes (leading to murder) combined with disputes with the natives (leading to deadly battles) forced them home after just a few years. But they didn't go away for good. As late as 1347, Greenlanders continued making timber runs to a place they called Markland ("forest land," which is probably Labrador, but which Horsford thought was Nova Scotia). More interestingly, history records that about a century after Leif's time, a certain Bishop Erik of Greenland set out for Vinland to save the inhabitants. History does not record whether the inhabitants wanted to be saved, since the bishop was never heard from again. "The Saga of the Greenlanders"
Stefanie Rocknak, a professional sculptor with a tandem career as a professor of philosophy in New York, has been selected to create a statue to commemorate Edgar Allan Poe in Boston, the city of his birth. 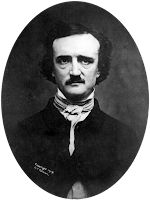 “Edgar Allan Poe is one of the most influential writers ever born in the City of Boston. 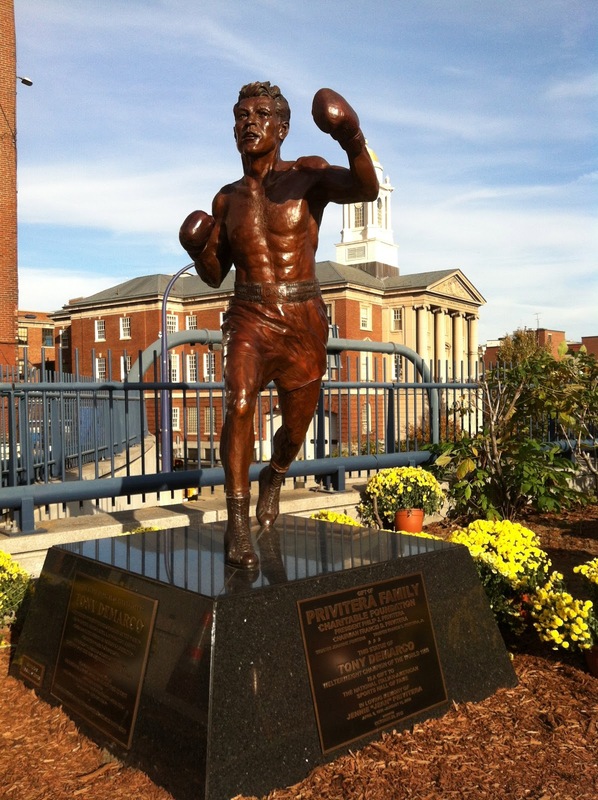 As a city proud of its rich history, I’m so pleased to see this wonderful tribute come to fruition. The statue chosen for Poe Square is full of life and motion, and is sure to inspire residents and future writers alike for generations to come,” said Mayor Thomas Menino. A five-member artist selection committee, empowered by Boston Art Commission guidelines, chose the design following a lengthy process. “I propose to cast a life-size figure of Poe in bronze. father once lived. Poe, with a trunk full of ideas—and worldwide success—is finally coming home,” said Rocknak of the design she calls Poe Returning to Boston. The plan calls for the statue of one of America’s most influential writers to be installed in Edgar Allan Poe Square, a tree- lined, city-owned brick plaza at the intersection of Boylston Street and Charles Street South, just two blocks north of where Poe was born in 1809. Mayor Menino dedicated the location to Poe—and to his place in Boston’s literary heritage— during bicentennial celebrations in 2009.
criticize him upon another return to his native city for a reading in 1845, the year Poe’s most popular poem, The Raven, appeared. Poe’s final works were also published in Boston prior to his mysterious death in Baltimore in 1849. An award-winning member of the Sculptors Guild whose artwork has appeared in numerous publications and in more than 40 exhibitions including at the Smithsonian. Rocknak is an associate professor of philosophy and the director of the Cognitive Science Program at Hartwick College in Oneonta, New York, where she has taught since 2001. A graduate of Colby College in Waterville, Maine, with a B.A. in American Studies and Art History with a concentration in studio art, she holds a Ph.D. in Philosophy from Boston University. Her interests include the 18th- century Scottish philosopher David Hume (the subject of her forthcoming book), the philosophy of art, and the philosophy of the mind. possible. Construction of a finalized design of the sculpture—which proponents envision by the end of next year—will depend on success of future fundraising initiatives to offset the anticipated $125,000 total cost of the project. Images and text used with permission, Edgar Allan Poe Foundation. 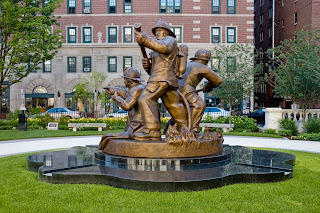 Sunday June 10, 2012 National Firemen's Day is commemerated by Bob Shure's Boston Monument sculpture below. 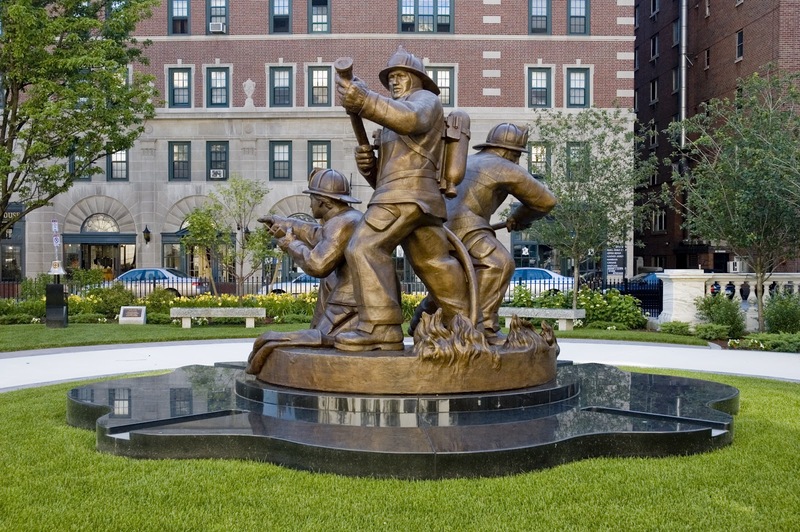 In this strong bronze pyramid, the artist depicts the constant war between man and fire as three firemen are positioned to fight a fire from every direction. Happy Birthday Cyrus E. Dallin from Boston. "You may be familiar with Cyrus E. Dallins Boston monuments and statues around Boston. "Paul Revere", "Anna Hutchinson" and "Appeal To The Great Spirit" are just some of his spiritualistic memorial sculptures inspiring all of us. Dallin, the son of Thomas and Jane (Hamer) Dallin, was born in Springville, Utah, November 1861 to a family then belonging to The Church of Jesus Christ of Latter-day Saints. At age 19, he moved to Boston to study sculpture with T. H. Bartlett, and in 1883 entered a competition for an equestrian statue of Paul Revere. No entries were selected, but over the next 58 years Dallin made seven versions of a monument of Paul Revere. In Boston, he became a colleague of Augustus St. Gaudens and a close friend of John Singer Sargent. He married Vittoria Colonna Murray in 1891, moved to Arlington, Massachusetts in 1900, where he lived for the rest of his life, and there raised three children. He was a member of the faculty of Massachusetts Normal Art School, since renamed Massachusetts College of Art and Design, from 1899 to 1941. He created more than 260 works monuments and statues, including well known Boston statues of Paul Revere and of Native Americans. He also sculpted the statue of the Angel Moroni atop the Salt Lake City Temple, which has become a symbol for The Church of Jesus Christ of Latter-day Saints, and is generally the pattern for future Angel Moroni statues on the spires of subsequent LDS Temples. Dallin was probably the first American Sculptor sensitive enough to depict American Indians as humanist spiritualistic human beings in his statues and monuments, because he grew up with Indians as a boy in Utah. Cyrus E.Dallin conveyed this above sensitivity through his Boston bronze and stone sculptures. 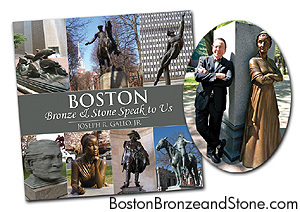 Happy Birthday from Joe Gallo, author of "Boston Bronze and Stone Speak To Us", a Boston guidebook of historical story telling of monuments and statues our found on Boston's parks and streets. Proposed Edgar Allan Poe Monument on Edgar Allan Poe Square at the corner of Charles and Boylston Streets Boston, MA is coming soon with proper future funding. "Boston Bronze and Stone Speak To Us "second edition shall surely place Poe new monument in our book for all to share! Did you know Poe was born at this above location? "One of the best-kept secrets in Boston's literary history concerns the most influential writer ever born here: Edgar Allan Poe. And the secret is this: he was born here! Over the past 200 years, leading up to the bicentennial of Poe's birth on January 19, 2009, his connections to other East Coast cities -- Richmond, Baltimore, Philadelphia, and New York -- have been celebrated and memorialized. Finally, Mayor Thomas M. Menino dedicated this above location as Edgar Allan Poe Square with a plaque. While each of these cities hosts a museum or historic house that commemorates Poe's standing as a local author, Boston has made itself conspicuous for its apparent determination to treat the master of mystery -- America's first great critic and a foundational figure in the development of popular culture -- like an undeserving orphan. Boston is America America is Boston!